For first timers to New York, one of the easiest ways to tackle the city is to stay at a chic boutique hotel where you can party, eat and sleep all in the same location. The Gansevoort Meatpacking offers all that and more.It features a rooftop pool bar, Provocateur night club, Tanuki Tavern for sushi and an on-site Exhale spa. Two VIP passes to Red Market, the city's premiere late-night salon, good for 25% off hair styling services. 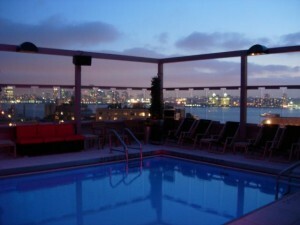 Log onto HotelGansevoort.com for more info.